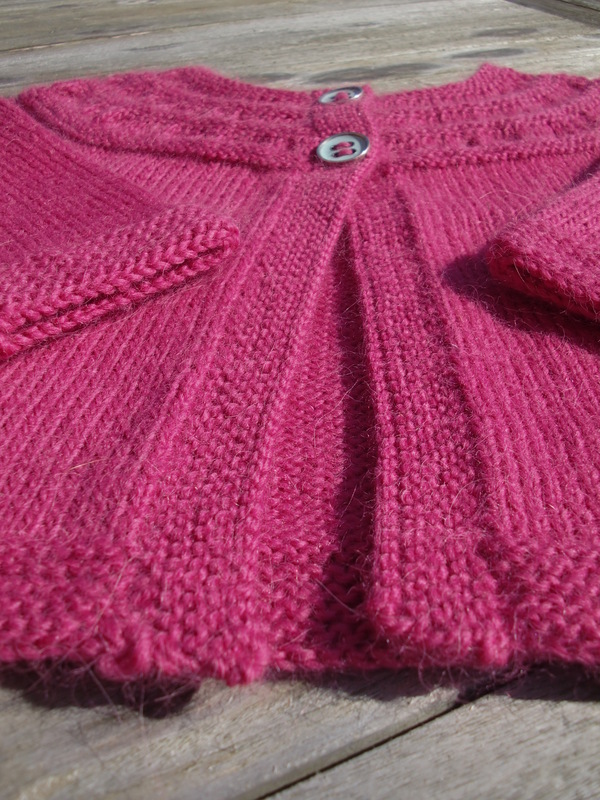 So I had intended on keeping you all up to date with my progress with my Tiny Tea Leaves cardigan (which of course you must have been dying to hear) but somehow progress has crept along and I seem to have finished!! 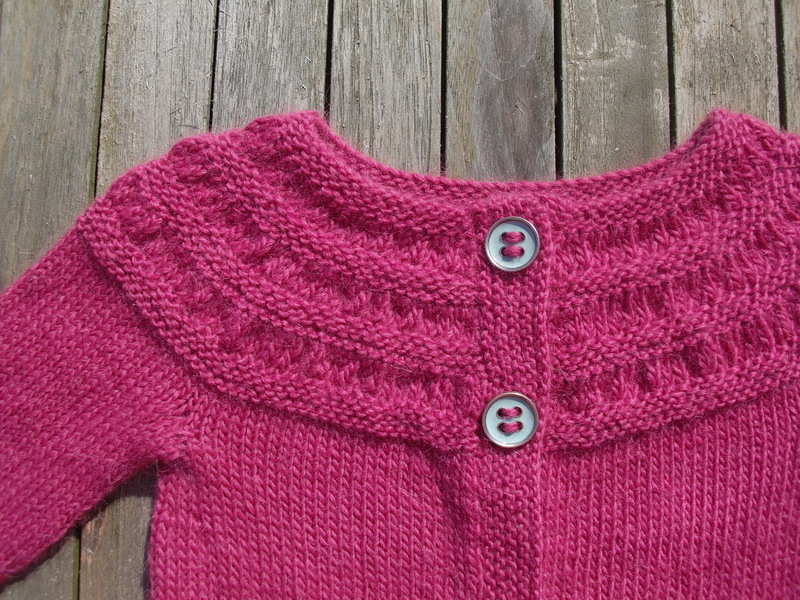 Now, I’ve not had a lot of experience with knitting and in most projects I learn something new. This time around my biggest challenges seem to have been the button band and picking up stitches at the underarm. For the button band I needed to pick up 2 out of every 3 stitches. This turned out to be easier said than done. I eventually got there, although one side has one more stitch than the other….shhhh….don’t tell anyone. No pictures of Charlotte wearing Tiny Tea Leaves as of yet, but I am sure that I will remember to get the camera out eventually! 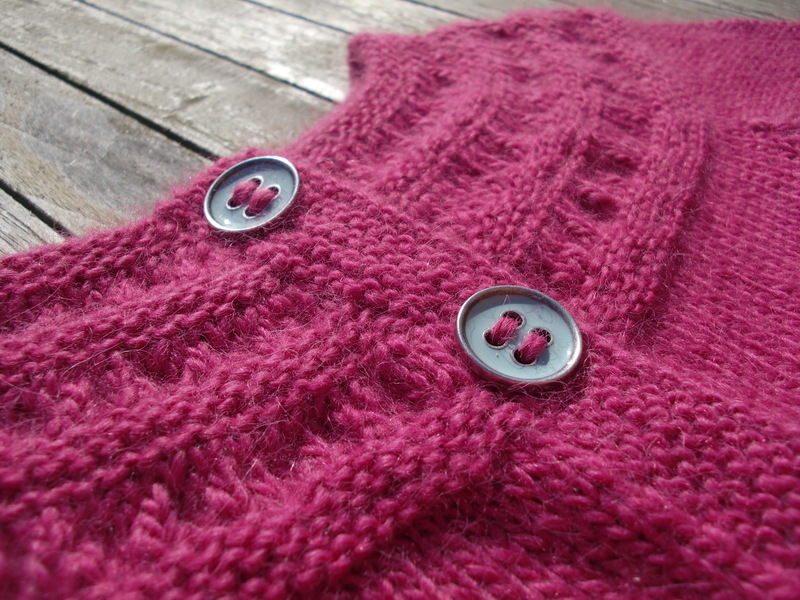 Oh I learned both of those new skills this winter when knitting Yoke Cardi. I actually did alright with the buttonband (miracle of all miracles) but had gaping holes under the arms that I pulled tight when weaving in ends. 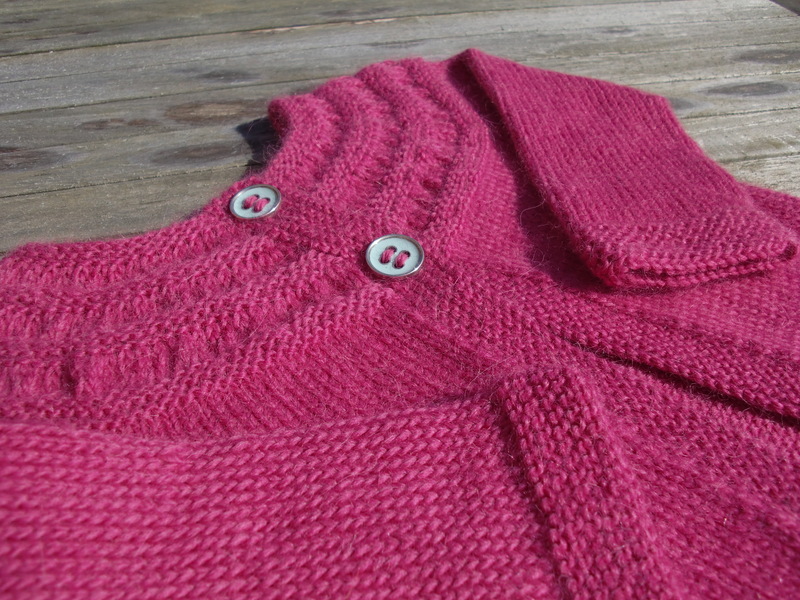 Your cardi looks lovely. Great colour! Nice job all around. Thank you! 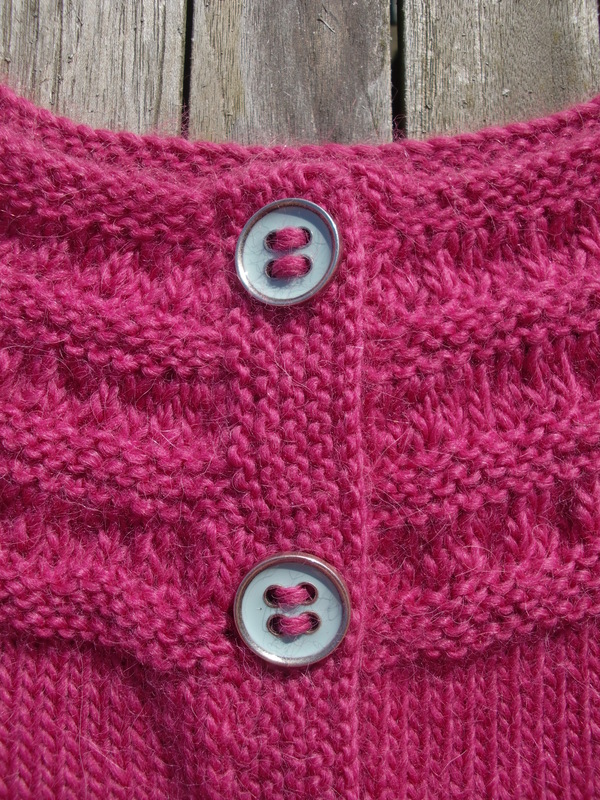 I am finding that the more that I knit, the more I learn…normally the hard way!